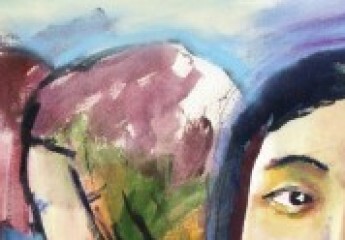 We have three great exhibitions opening in the University Art Gallery this week. Wynne Wilbur, Flower (2017). Image courtesy of the artist. 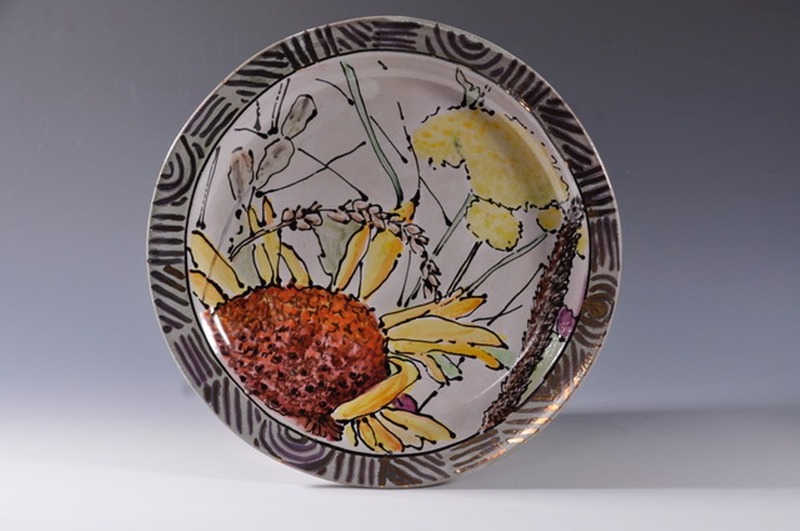 View a career-spanning retrospective of work created by Truman ceramics professor Wynne Wilbur. Emily Nickel, Undoing. Photo courtesy of the artist. 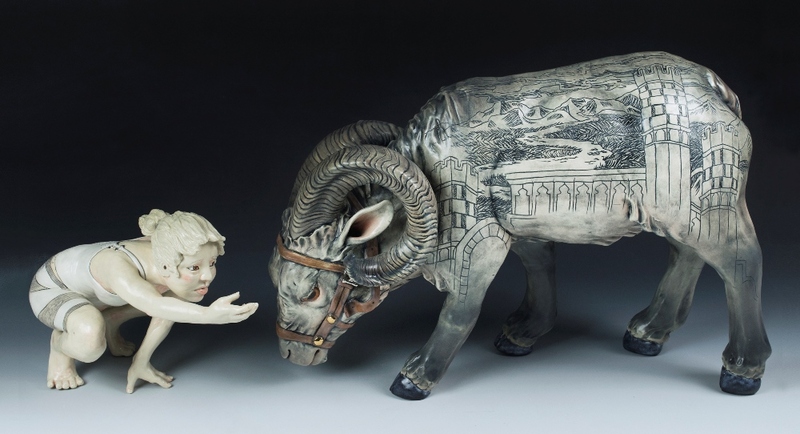 Dreamwork features three ceramic artists, Truman alumni all, who encompass a broad range of approaches to ceramics: Leah Bowring, Emily Nickel, Alexander Thierry. Dreamwork refers to the psychoanalytic concept that our unconscious often disguises truths in our dreams from our conscious mind, but, more broadly, the works in this exhibition address the work the mind undertakes when creating memories, fantasizing, meditating, and dreaming. Harry Tjutjuna, Wati Nyiru Munu Wati Wanka. Photo courtesy of the University of Virginia. Claiming Country: Western Desert Painting from the Kluge-Ruhe Aboriginal Art Collection – in the Charlyn Gallery (Exhibition on view until March 22).The Western Desert, located in west central Australia, is home to many of Australia’s indigenous communities and is seen as the birthplace of the contemporary Aboriginal art movement. 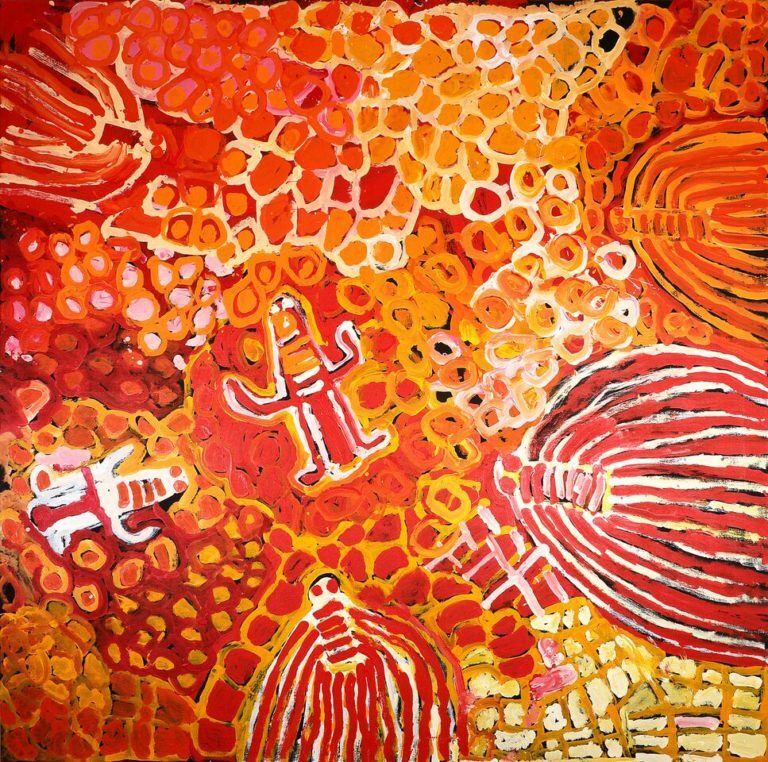 Indigenous Australian art is often based on Dreamings, called Tjukurrpa in the Western Desert region. Dreamings link Aboriginal peoples to their sacred lands, often referred to as Country, through narratives of ancestors and creator beings. Western Desert artists bridge the gap between traditional Aboriginal practices and the contemporary art world by expressing Tjukurrpa in their work through ceremonial iconography and aerial perspectives of sacred landscapes associated with creator beings and ancestors. The paintings in Claiming Country explore the essential role that Country plays in the identities of Indigenous Australians. This exhibition brings together paintings by prominent Western Desert artists Pansy Napangardi, Makinti Napanangka, Weaver Jack, Harry Tjutjuna, Kathleen Petyarre, Tjumpo Tjapanangka, and Paddy Japaljarri Sims. Opening reception for all three of these exhibitions will take place Friday, January 25, 6:00-8:00 p.m.